18 Kilos of Love is the inspirational and humorous non-fiction account of a remarkable man and his remarkable life. Ami Ankilewitz was diagnosed with an extremely rare and often fatal form of SMA/2 that severely limits physical growth and movement. Yet at 34 years of age, he continues to outlive a doctor's prediction of life expectancy by 28 years… and counting. Ami, who weighs only 18 kilos (39 pounds), works in Israel as a 3D animator and creates his art despite the fact that his bodily motion is limited to a single finger on his left hand. In doing so, he continues to redefine notions of a "limited" life. The film follows Ami's journey in search of the doctor who predicted his early demise. Along the way, Ami attempts to come to terms with another major incident from his past and to complete a lifelong dream: To ride a Harley Davidson. 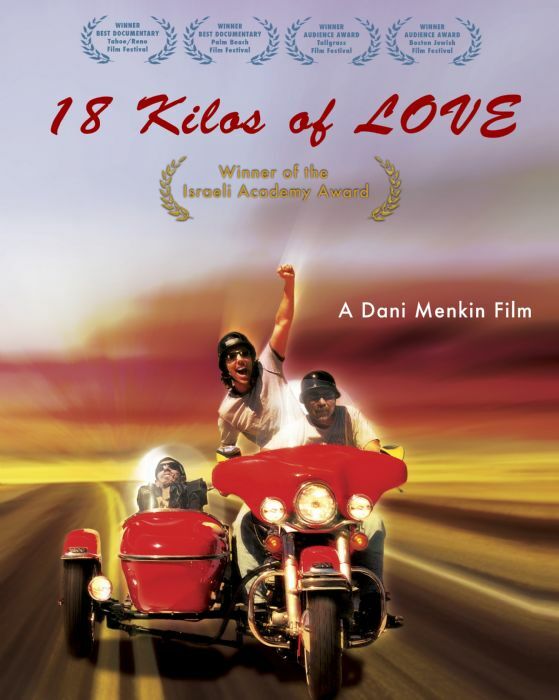 18 Kilos of Love is an emotional roller coaster, a fascinating, humorous and truly inspirational ride through life with someone who embodies the very term, Carpe Diem (seize the day).